When you’ve got a sharp sense of style and a crisp, concise character, why not say so in your space? 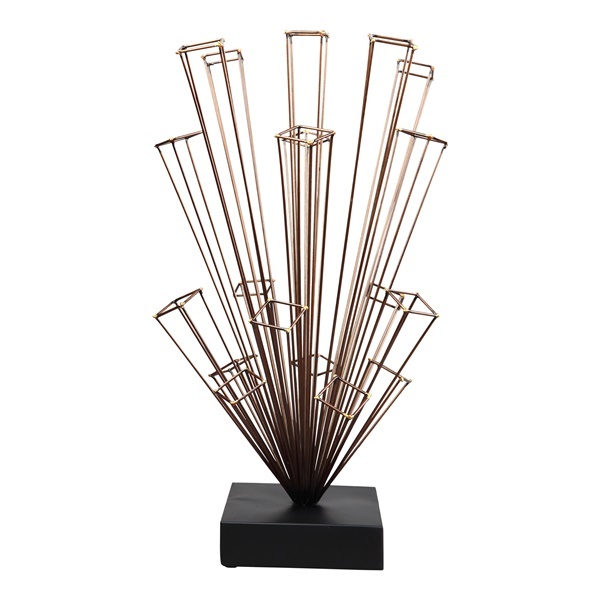 With all of the above, plus a touch of whimsy, the Cube Sculpture by Moe’s Home makes a sleek, unique statement set on a shelf or even as an eye-catching centerpiece on a spacious dining table. Crafted of quality metal, Moe’s Cube Sculpture also offers a hint of gleaming shine in its clean-lined contemporary design. Expert construction of quality metal. Modern geometric style for the home or office.